An Italian court has placed a nationwide ban on Uber’s low-cost UberPOP car-sharing service, alleging it creates “unfair competition” for the country's traditional taxi drivers. The ruling also prohibits other car-ride services by unlicensed drivers. On Tuesday, Judge Claudio Marangoni ruled that UberPOP - one of the services offered by the San-Francisco-based company – violated the administrative rules that regulate the taxi industry. The judge added the service was subject to only minor fees compared to the costs taxi drivers have to pay in order to operate, thus creating unfair competition. The company now has 15 days to comply with Marangoni's ruling, or face a fine of €20,000 (US$21,766) for each day's delay. The company also mentioned the country's high unemployment rate, stressing the decision has prevented Italian citizens from earning money. “Thousands of people today risk being prevented from earning additional money, despite the youth unemployment rate reaching 42 percent in Italy,” Uber said. The company also alleged its business model is supported by the European Commission's rules on fairness, proportionality and non-discrimination in regulating technology-based services. But according to the Local, the app will be shut down even if the company fights its corner and appeals the decision. 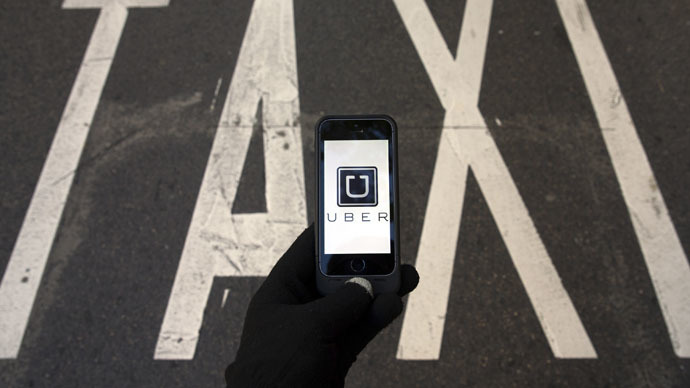 The ruling was triggered by a petition from taxi associations, which filed a complaint against UberPOP in mid-April. "It's a great victory and we didn't do it just for ourselves and our work but also for the safety of customers," said taxi union representative Pietro Gagliardi, as quoted by the ANSA news agency. It's just one of many setbacks faced by the San Francisco-based company, which is worth an estimated $40 billion. On Monday, hundreds of taxi drivers marched through Mexico City chanting “Uber Out!” and demanding city authorities ban the service. In March, hundreds of Belgian and French taxi drivers brought Brussels to a near standstill with their vehicles in protest against the app. One month prior, over 2,000 taxi drivers took to the roads of Turin. The app has already been banned in the Netherlands and Spain, and is appealing bans in France and Germany. Founded in 2009, the company operates in about 250 cities in 50 countries through its app, which effectively allows passengers to be driven around by anyone – regardless of whether they have a professional license.